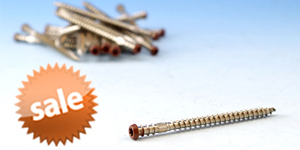 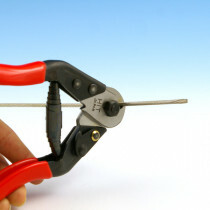 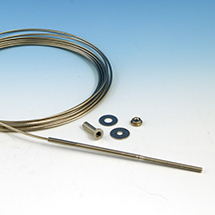 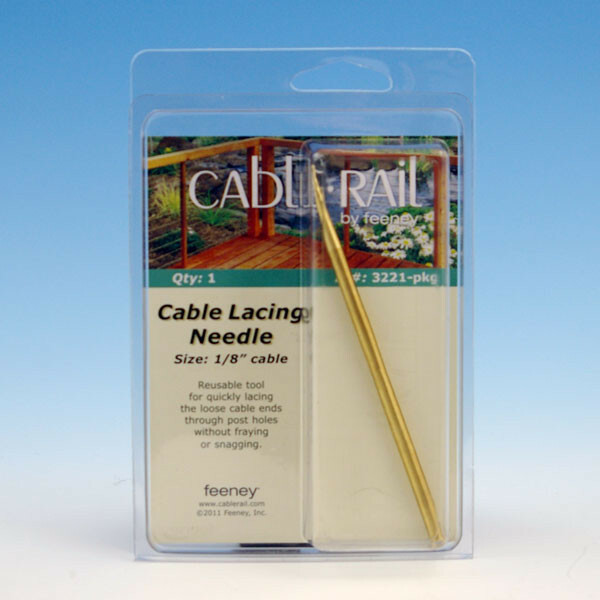 CableRail Lacing Needle by Feeney is an essential tool for installing CableRail. 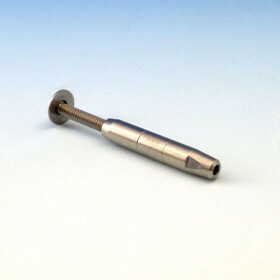 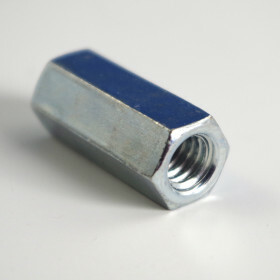 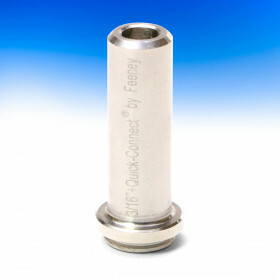 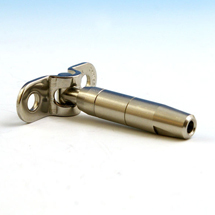 This reusable tool allows for quickly lacing loose cable ends through post holes without fraying or snagging. 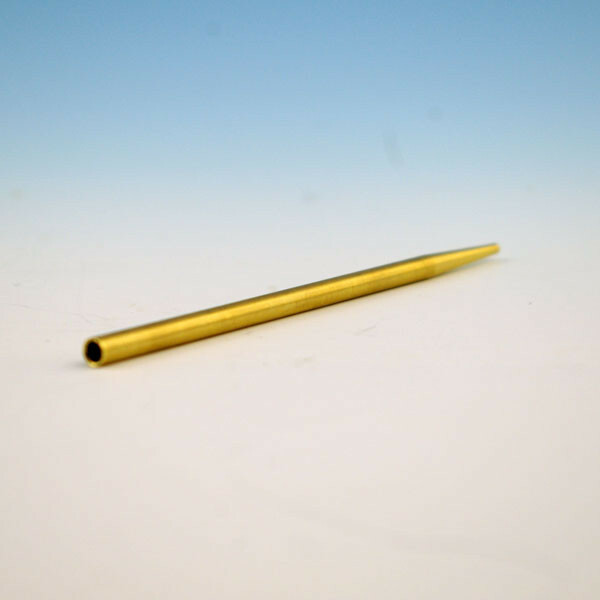 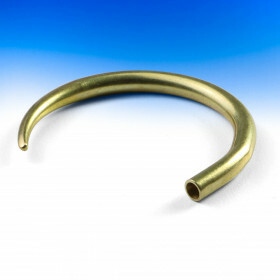 These tools are made from solid brass, are available for 1/8", 3/16" and 1/4" cables, and are sold individually. 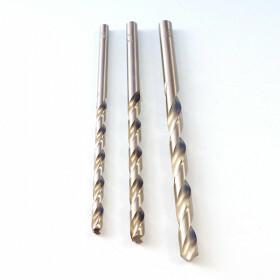 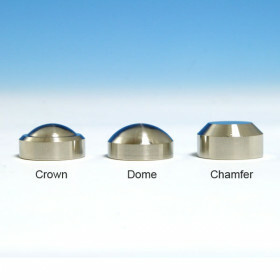 (width x depth x height) 1/8" = 1/8" x 1/8" x 4-1/2"
3/16" = 3/16" x 3/16" x 4-1/2"
1/4" = 1/4" x 1/4" x 4-1/2"